The snow is cold, the prices are hot. Here again compactly summarized all offers and prices of the TOP ski school Ellmau. The best way to learn how to ski is to do so in a group of students with similar experience. Click here to read more about the benefits of group lessons for beginners. 1 Valid for adults and adolescents of 15 years and older. The courses have a minimum of 4 persons. You are able to ski but still have a desire to improve your technique? Then book one of our private lessons. Click here to read more about the benefits of private lessons. 2 Valid for all advanced skiers of all ages. BOBOS Ski paradise is our big winter playground for children direct at the meeting point of TOP Skischule beginners piste. Your children will playfully learn how to ski. Click here to find out more about the ski lessons for children. 3 Valid for children of 3 – 14 years old. The courses have a minimum of 4 persons. Make use of our extra’s for children. Not sure if your child is ready for a full course? How about a try out course. All booked courses can be extended and having your child stay over for lunch is never a problem. 4 Valid for children up to the Age of 5 years. To extend the try out course is an additional 50% of the original Price. 5 Try-out courses can only be booked on the first day. 6 Valid after a 3 day course. Rather snowboard down the mountain? TOP Skischule Ellmau also offers courses for Snowboarders. 7 Valid for both beginners and advanced snowboarders of all ages. The courses have a minimum of 4 persons. 8 To extend the try out course is an additional 50% of the original Price. 9Valid after a 3 day course. Want to avoid the busy pistes and enjoy your winter holiday more peacefully? Then book one of the hiking/cross-country skiing courses and experience the Wilder Kaiser area in a different way. The perfect ski day starts with knowing you have the right equipment. Old equipment can hinder progression, fun and your safety. 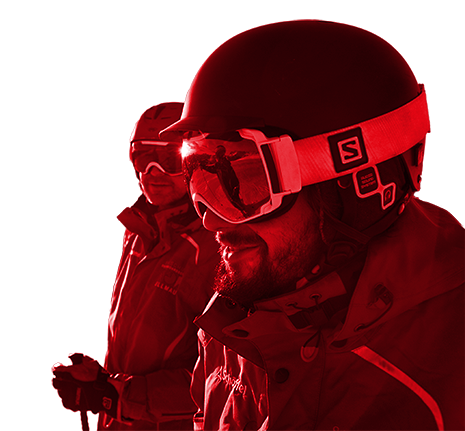 Top Skiverleih offers you the best models and brands available on the market to suit all levels of ability.